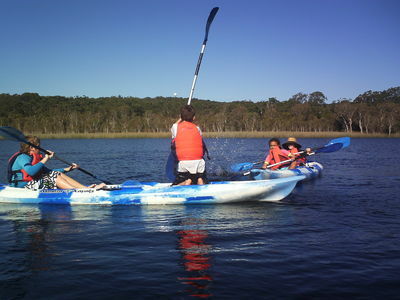 ﻿To kayak in the clear water of Moreton bay you will need to catch a water taxi over to Dunwich on Straddie. 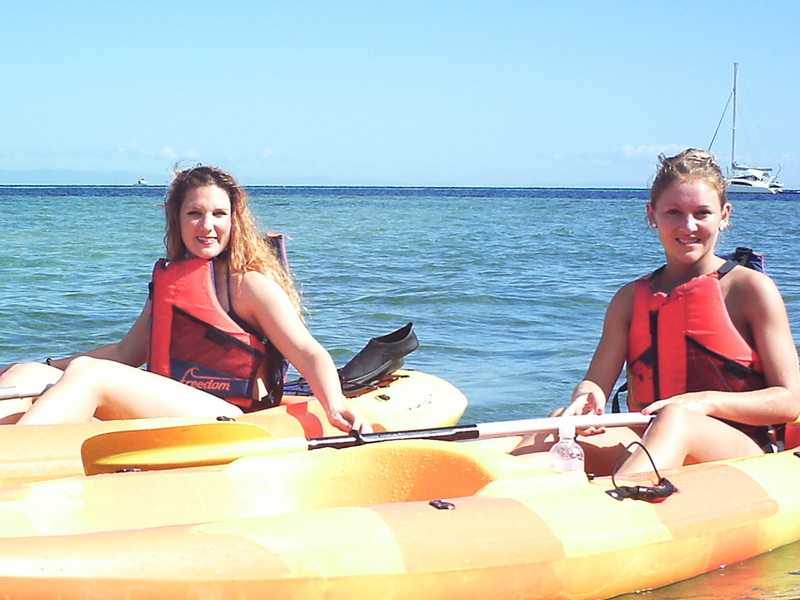 I will then pick you up and take you to the tour of your choice. 1. 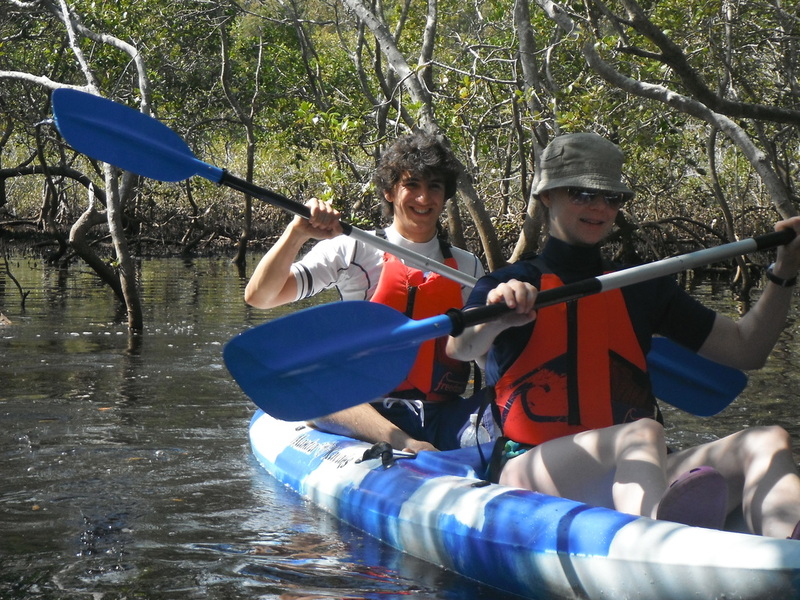 "Adventure Amity" will take us kayaking around the Amity Point area called the Spit to a "Hidden" Creek amongst the Mangroves. 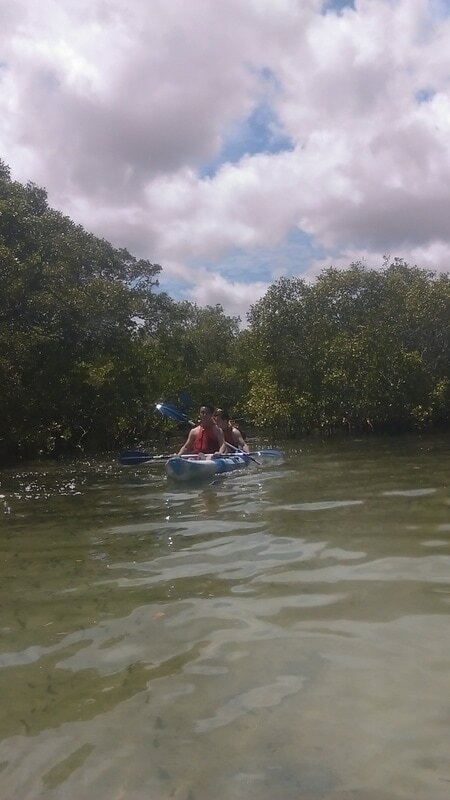 This creek is full of fish, turtles and stingrays, so always be on the lookout not only below but above as many species of birds have made these mangroves their home. 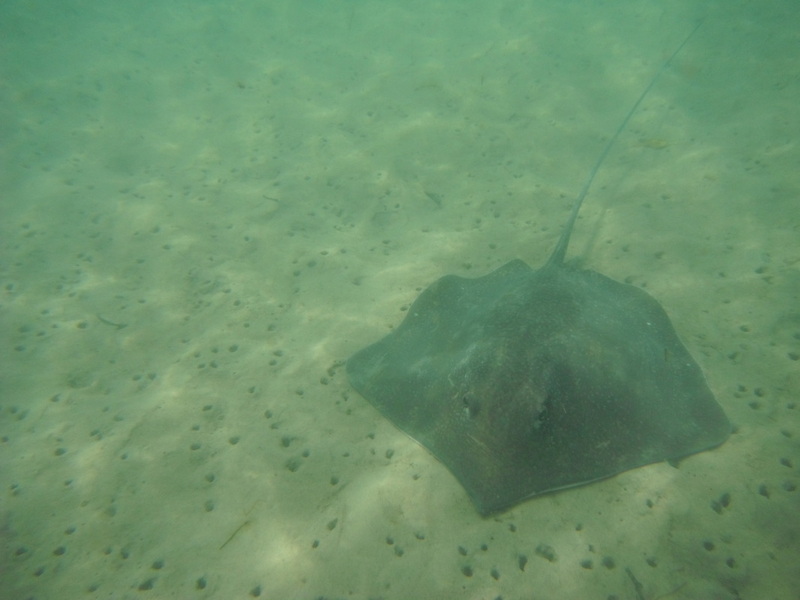 Even "Shovelnose Rays" can be seen. 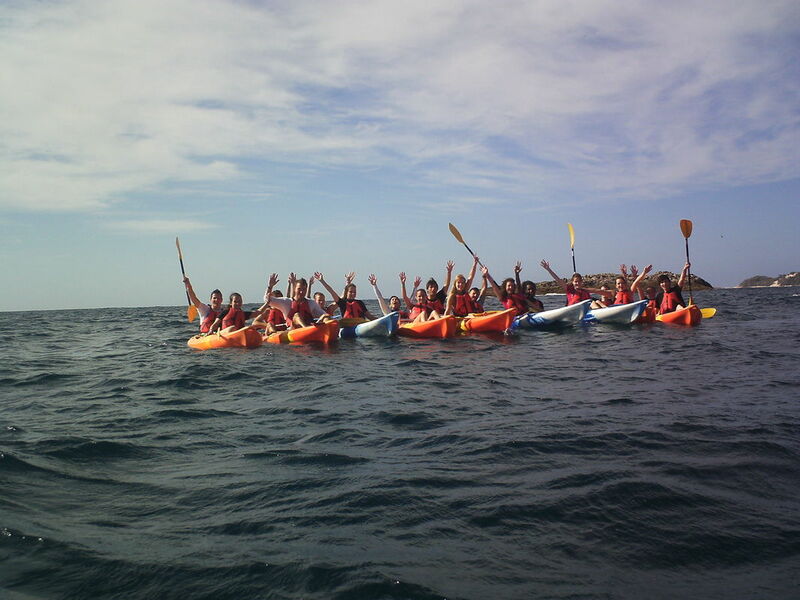 Dolphin spotting is not unusual. 2. 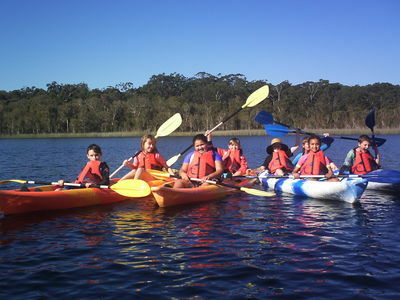 "Treasure Island" Tour ﻿﻿ will take us 45 minutes out to sea from the Amity township. 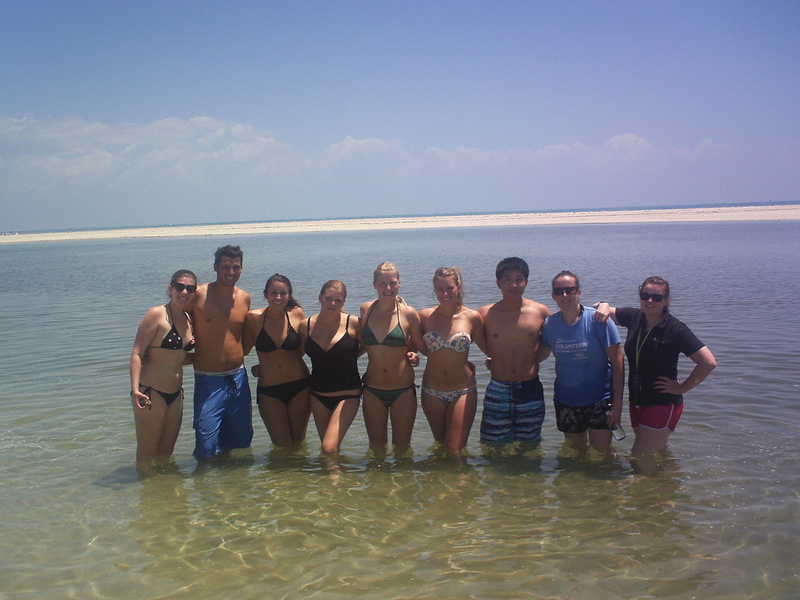 We visit a sand bar that has developed over the years from the erosion of the Amity shoreline. 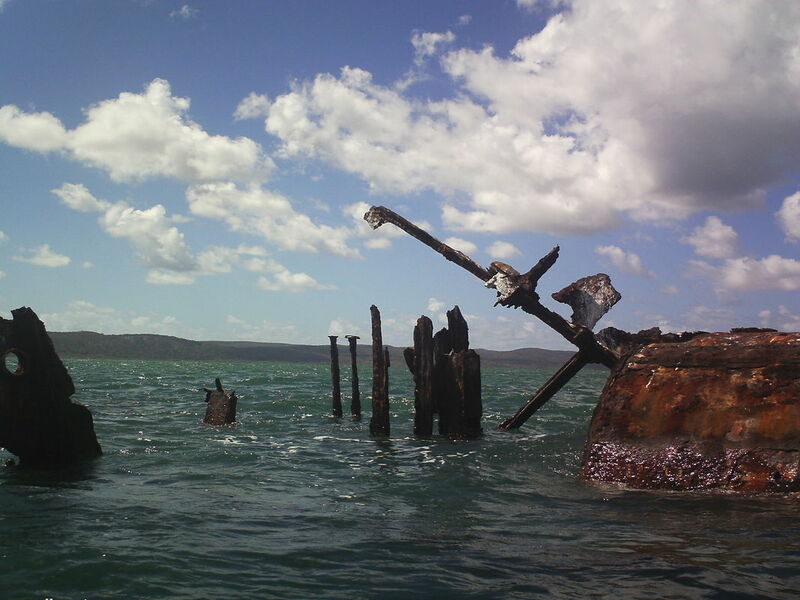 This has unique features as the birds use it a a resting spot during low and high tides and it is well worth exploring. Bring your flag and claim it as your "FAMILIES" own Island! 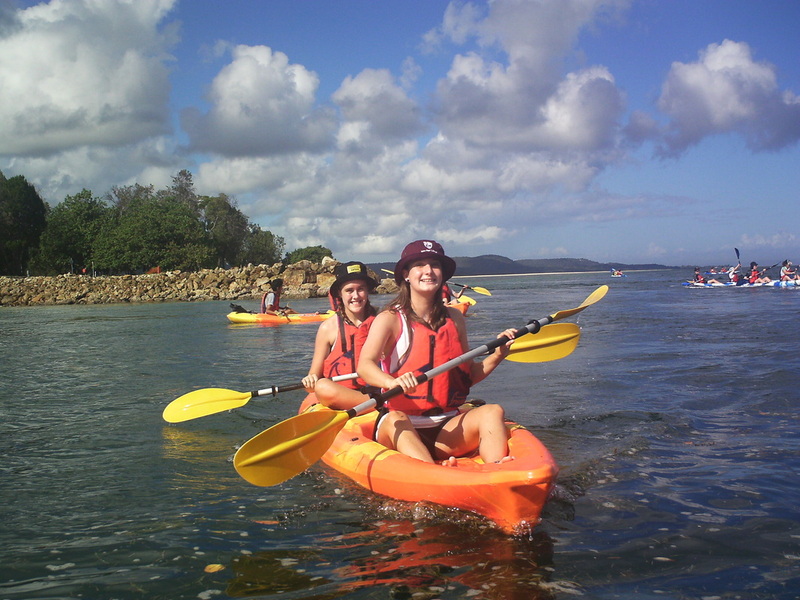 On our return we hug the Amity rock wall with the chance of seeing Wobbegong sharks, pelagic fish and sea urchins. 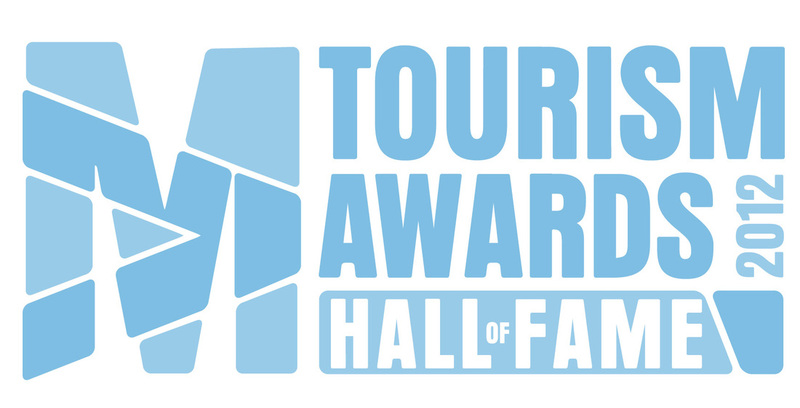 This is a great eye opener tour. 3. 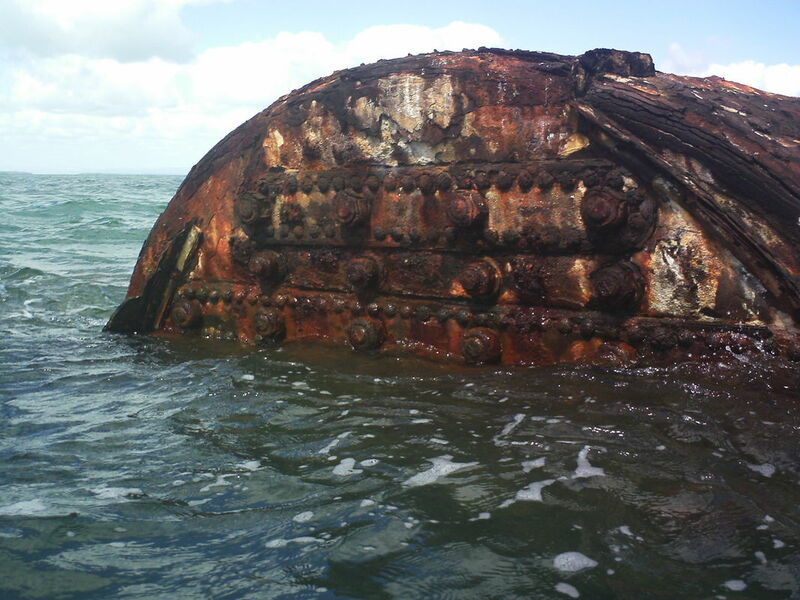 "Dunwich Shipwreck and Mangrove Tour"﻿ will take us from the calm foreshores of the One Mile area in Dunwich out to the Wreck of "Hercules" just off the Rainbow Channel. 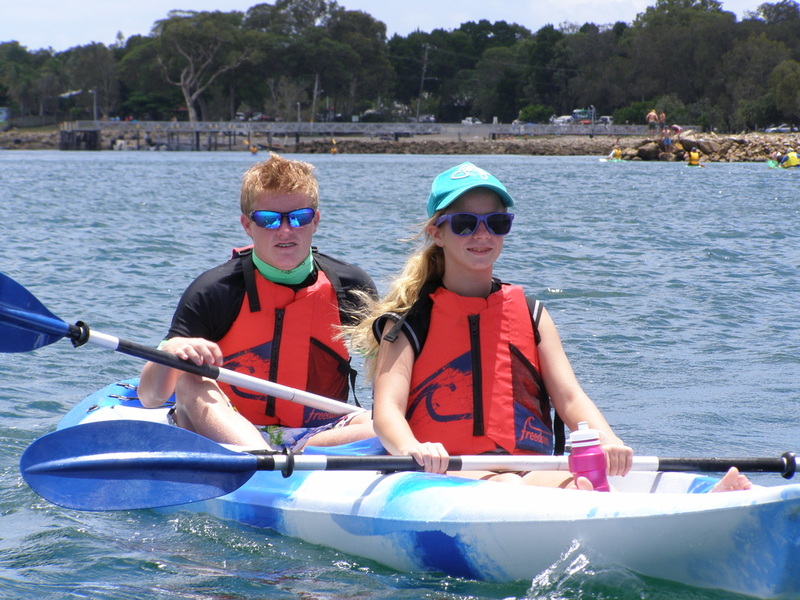 After watching the bream and other coloured fish dart in and around the wreck of the "Hercules" we then head into the mangrove area for some more exploring and hopefully watch the stingrays play below our kayaks as we paddle along. 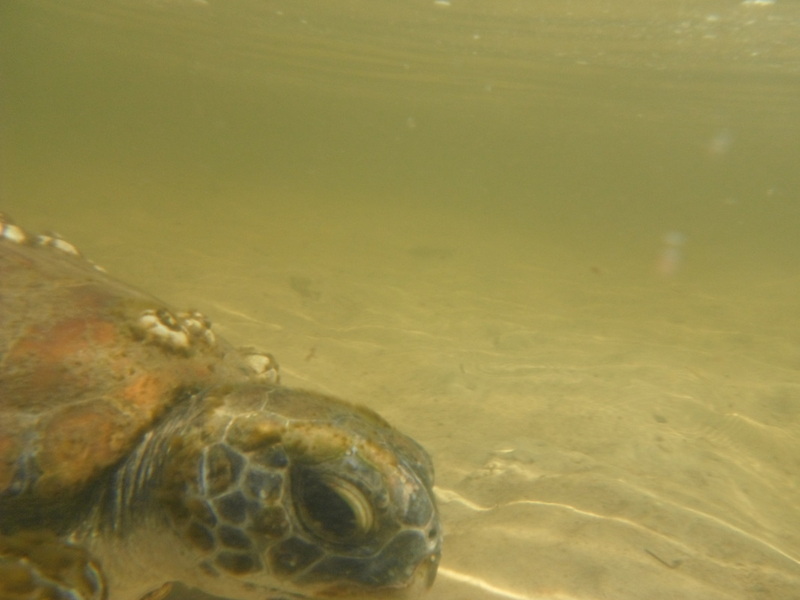 Always be on the lookout for big Turtles, Stingrays, Dolphins and Dugongs as they also frequent these waters around Dunwich and the Rainbow Channel areas and beyond. 4. 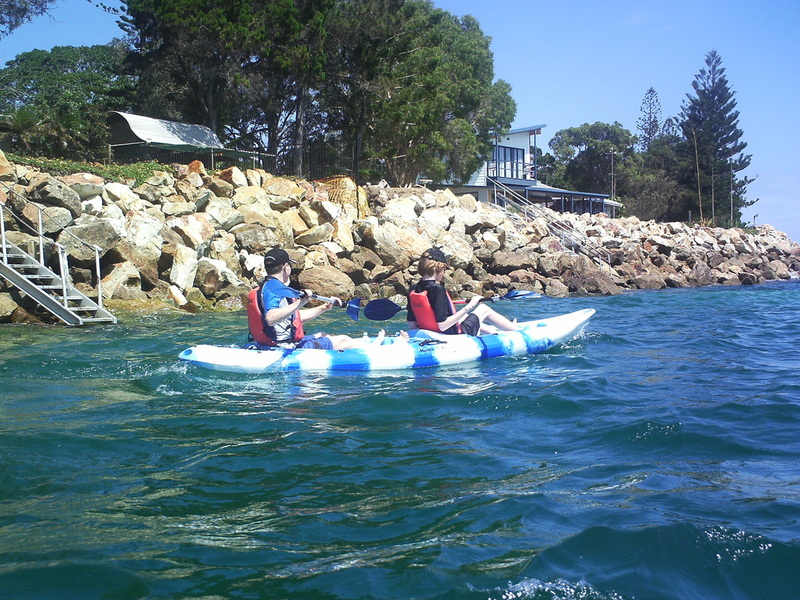 Kayak to Shag Rock which is found on the Northern side of the Island just off Home Beach. 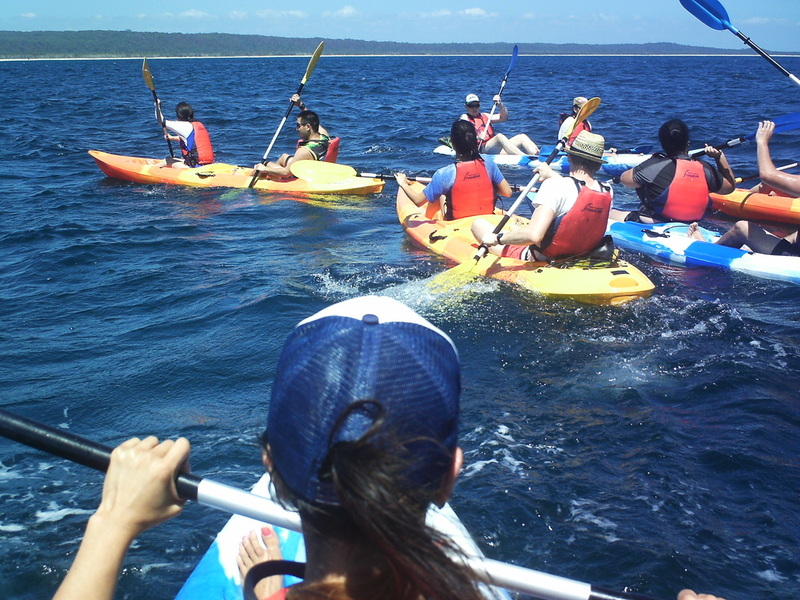 This passage of water is the Coral Sea found in the South Pacific Ocean and here we hope to see Manta Rays, paddle with the dolphins and other pelagic fish as well as looking at the shallow water containing rocky outcrops and coral. 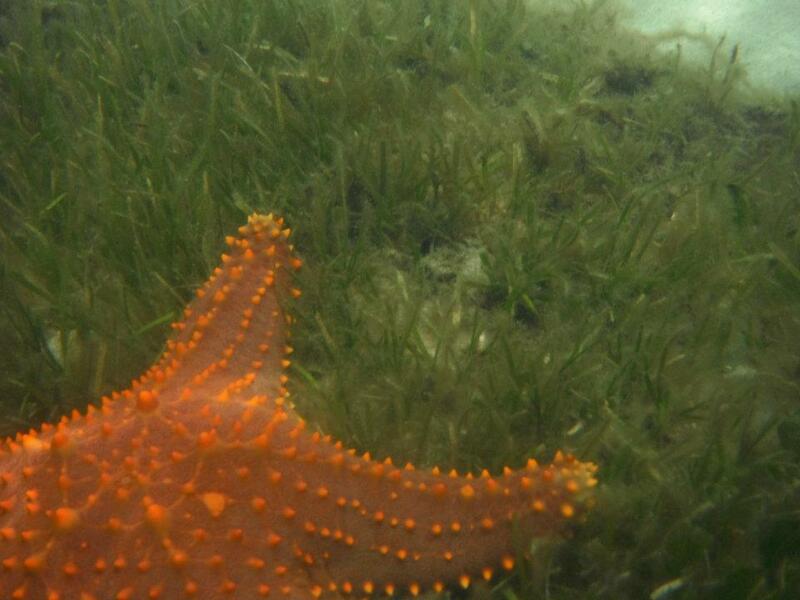 You can ask about snorkelling whilst out there as there is plenty to see underwater. 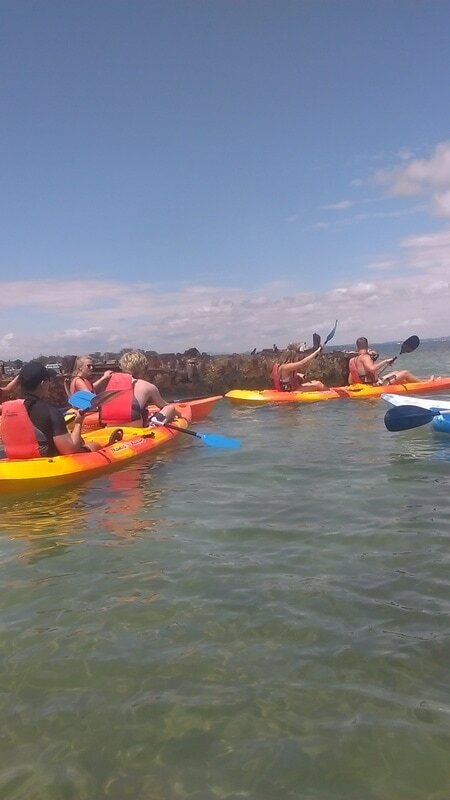 Kayaking to Shag Rock is in OPEN water so we need to check conditions before we leave. 5. 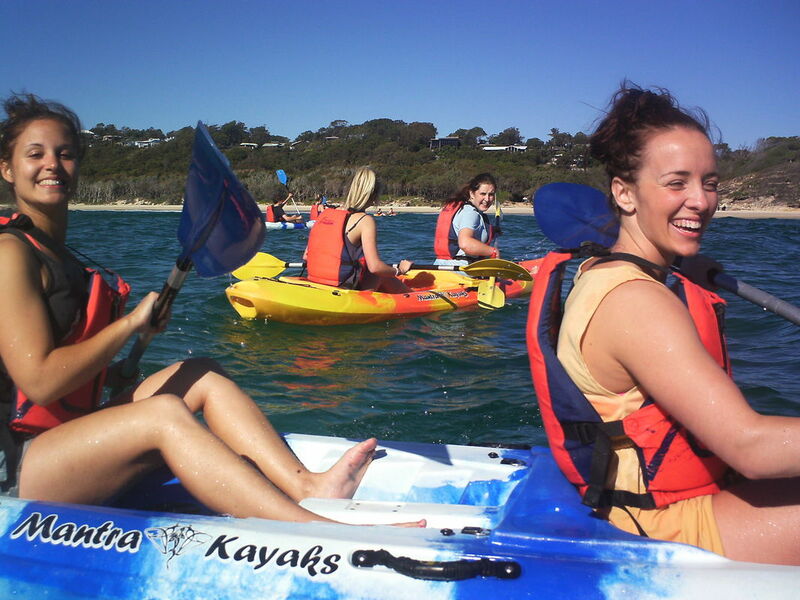 Kayak to the wreck of the Platypus. 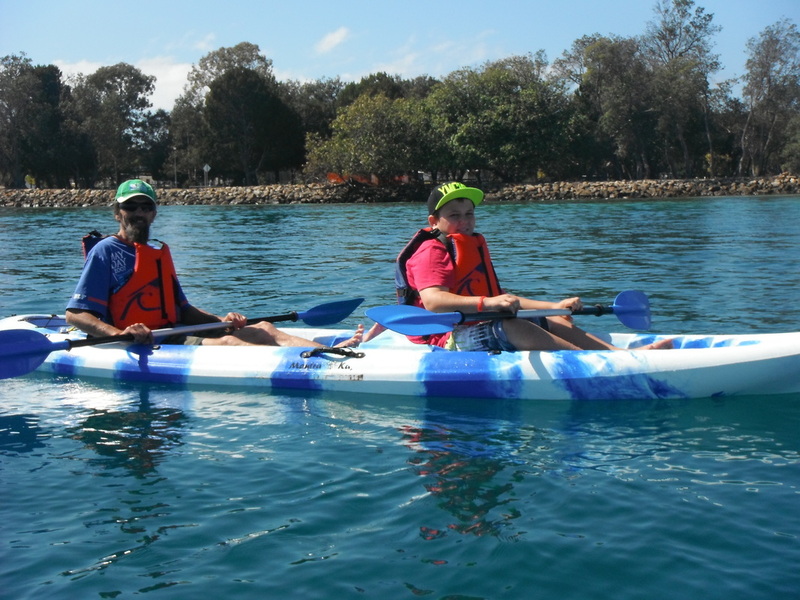 The sea kayak to Peel Island will take us approximately 40-45 minutes to cross Moreton Bay where we have chances of spotting dugongs, turtles and of course our friendly dolphins. 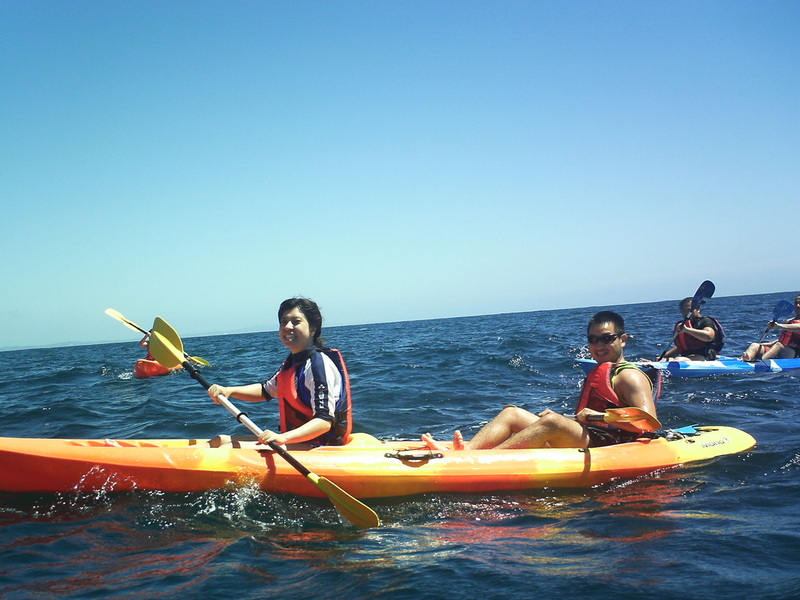 This is a great kayak in a group because we can all chat and help each other point out all the marine life that is seen. 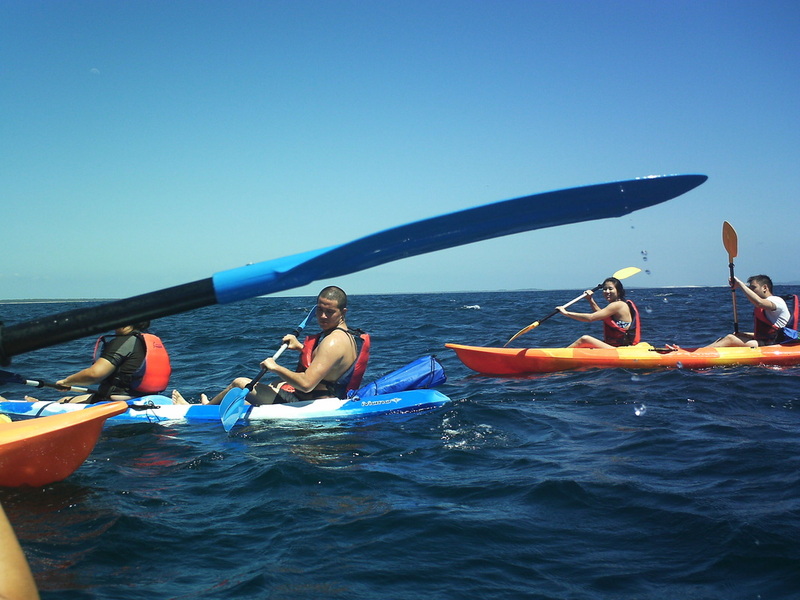 So we encourage everybody to kayak together to get the advantage of more eyes are better than two! 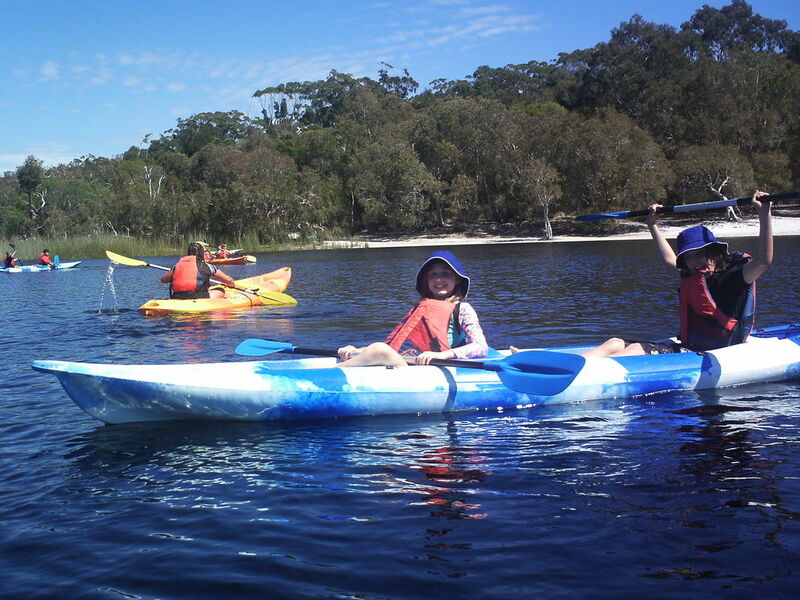 Also please note that when we are getting closer to the wreck of the Platypus there will be plenty of birds to identify, so go SLOW. 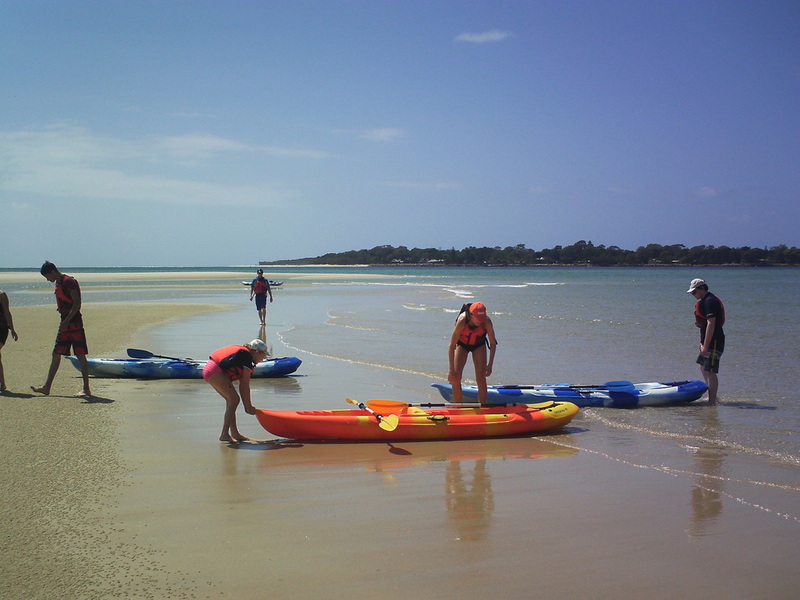 Once we arrive at Peel Island we berth the kayaks on the beach at Platypus Bay and have a stretch and a drink. Brown Lake is a beautiful fresh water lake just outside of the Township of Dunwich. 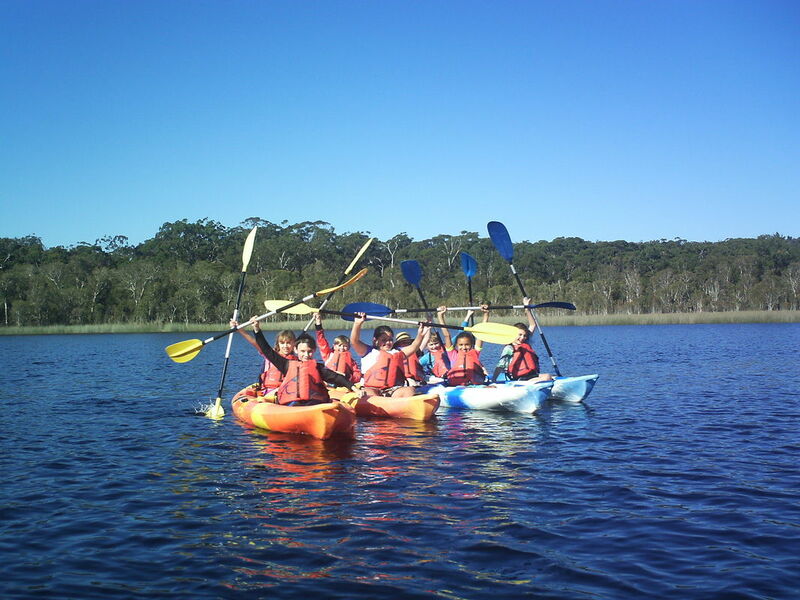 This lake is suitable for the not so experienced kayaker and also the experienced kayaker as it can be circumnavigated by kayaking along side the reed beds, stopping at numerous sand beaches. Swimming in the water heals your body as it contains Ti Tree oil which comes from the trees that line the sandy shoreline. 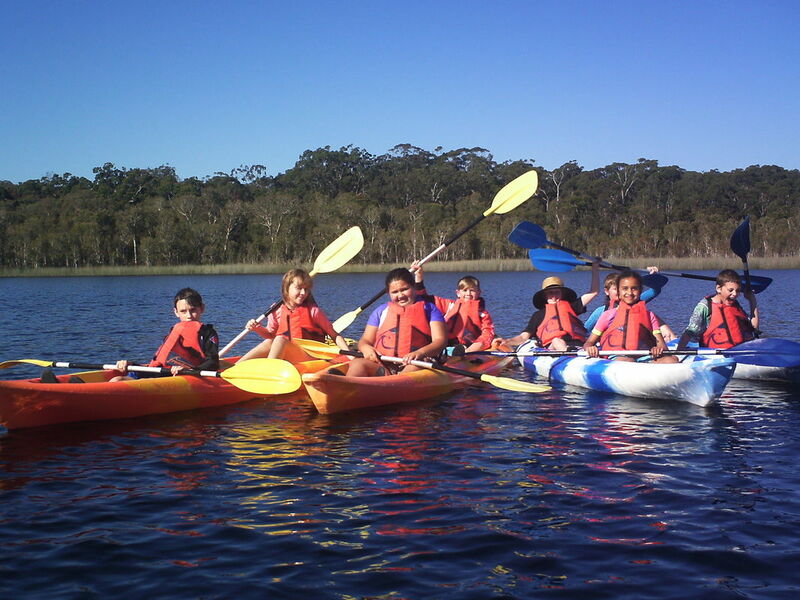 We supply all the necessary gear and safety equipment for a day full of FUN and adventure! 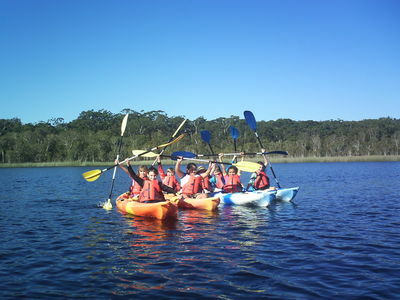 Kayaking on Brown Lake is so much fun! 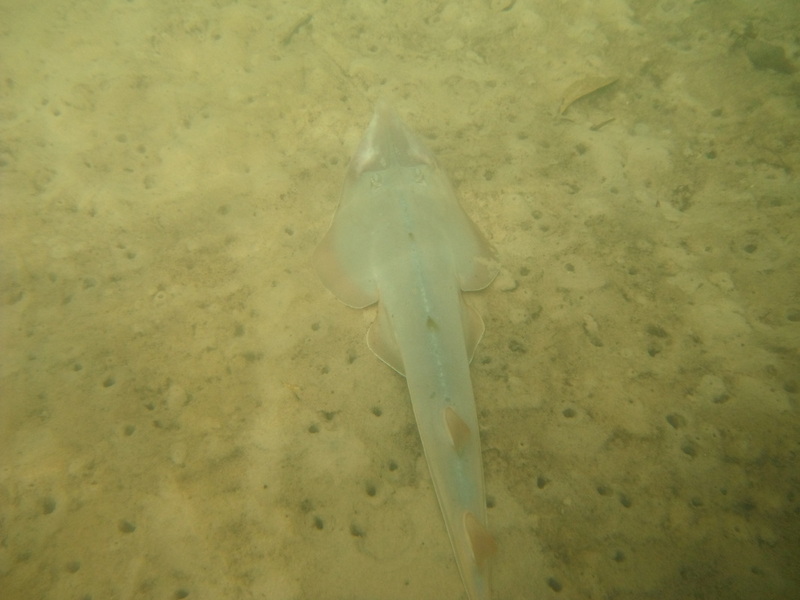 Above is the "Platypus" wreck and below is Brown Lake.